Hazard insurance can protect against a wide range of natural disasters and accidents. The specific coverage will be stated by the policy, and it varies from policy to policy. In some cases, the location of a home will determine the coverage. When buying a home, it is important to realize that mortgage companies often require homeowners' insurance coverage, which includes hazard insurance, in an amount equal to or higher than the balance of the mortgage in order to secure the amount of money loaned. Often, the mortgage company's name even appears on the policy. If you are planning to buy a house, you should take hazard insurance into account as part of the costs of the transaction. Our Boston real estate lawyers can advise you on how it may fit into your overall needs. 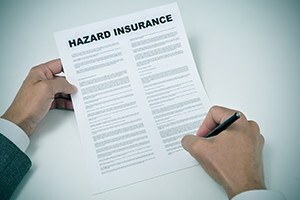 Hazard insurance sometimes comes as part of a standard homeowners' policy, but in some cases it is an add-on. You should read your policy to know what is covered and what is excluded. Generally, however, you will need to purchase hazard insurance in a minimum amount as required by your lender if you take out a mortgage. The lender wants you to have that insurance to secure the mortgage in case of unintentional damage or destruction to the home by fire, smoke, hailstorms, windstorms, theft, or other events out of your control. Some homeowners will want to protect their investment in the home by buying more than the minimum amount of coverage and buying comprehensive homeowners' insurance, rather than simply buying hazard insurance. The hazard section of the policy should protect the structure of the house, as well as other structures like a separate garage or shed, and the personal property within the home, such as furniture. Usually, it will not cover business assets, and it may not cover very expensive items like antiques and jewelry above a specified sum. If you plan to operate a business within the home, you should obtain home business insurance, which can in some cases be tacked on to the rest of the policy for a small fee. Most lenders will not require liability insurance, but many homeowners would rather get a comprehensive form of coverage that includes coverage for accidents sustained by visitors, rather than a policy that solely covers hazards. This is because a house is an asset that you could lose if someone else sustains a serious injury in your home. Some insurers will not sell to a homeowner who has previously made certain types of claims, such as claims for water damage. In order to protect yourself against the possibility that you will be denied the necessary homeowners' insurance, you should include your obtaining of hazard insurance as a contingency in your purchase and sale agreement with a seller. For many people, the purchase of a home is the biggest investment of their lives. Property ownership comes with significant burdens, obligations, and liabilities. A failure to obtain hazard insurance can have grave consequences. Our Boston real estate attorneys can help you negotiate with a seller and obtain hazard insurance. We also represent buyers, sellers, associations, and lenders in Quincy, Lowell, and Waltham, among other Massachusetts cities. Contact Pulgini & Norton at 781-843-2200 or through our online form for a free consultation with a home insurance attorney.